In choosing the right email platform, it is worth to focus on the types of email template editor potential platform offers. Find out how much control you have over the end message and if you’ll be able to effectively use your team’s skills to conduct email strategy you set for yourself. Good ESPs offer built-in Drag & Drop editors with pre-made code that let even email newbies with no coding skills create visual emails. 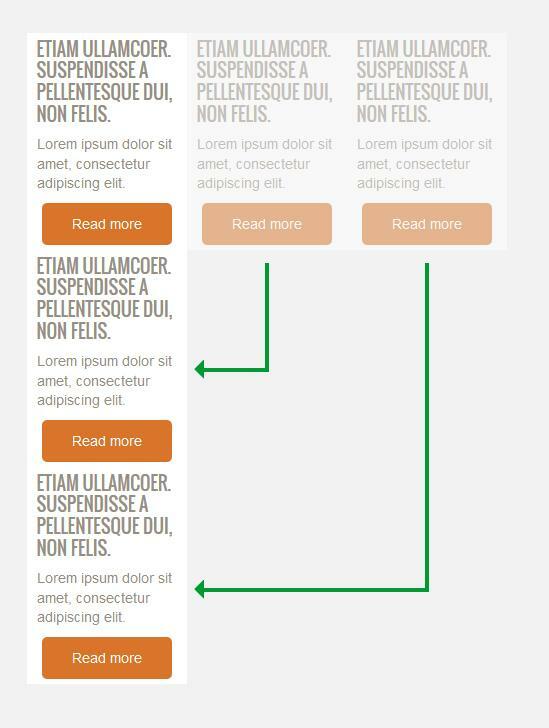 While in the case of sending regular newsletters sometimes even a simple WYSIWYG editor can deliver a perfectly fine email campaign. Then, there are also HTML email editors, that give you endless possibilities to convey your message, but need more coding smarts. 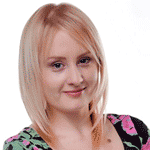 Why is the email template editor so important? If you’re sending a steady flow of emails, your biggest concern will be the ability to streamline the process. 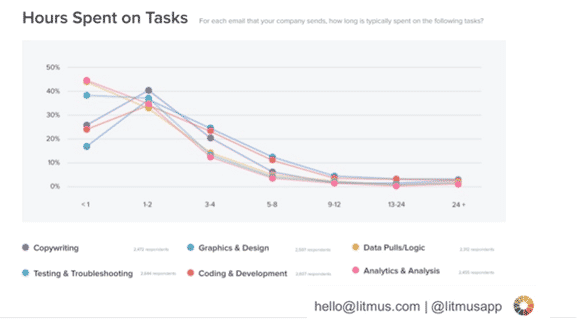 According to “Litmus State of Email 2017”, the majority of email marketers sacrifice between one and four hours on implementing graphics and design elements into their campaigns. A similar thing happens with coding and development tasks. These will help you both to optimize time spent on email production and to maintain consistency throughout the email creation process. How is the need for email template editors changing? According to the econsultancy Email Industry Census, more than half of surveyed companies are planning to use more dynamic elements such as GIFs and videos. And since Google announced support for embedded CSS and media queries, even advanced interactive elements like this email from Burberry which uses CSS animation will become more widely used. Also behavioural dynamic content that tailors your messages based on users’ preferences is becoming a go-to strategy for cutting edge email marketers. This email created by CACI email studio uses CSS dynamic content and was used to promote the coverage of the England vs. Scotland game for the UEFA Women’s Euro 2017 tournament. All these clearly say HTML emails are changing and allow for more and more elements that drive email engagement and effectiveness. The Email Marketing Census also states that the responsibility for email marketing continues to be the remit of individuals and teams who have broader marketing responsibilities, meaning that most likely they do not have enough time to focus on email production solely. They need a good tool which will ensure the code is clean and spam filter proof. Or they need a developer. And lastly, sometimes good old plain-text (like looking) email will work better than a glittery HTML version. It comes in handy when your communication requires a personal touch, or when you want your campaigns to land in Gmail’s primary tab with no effort. The rise of wearable devices also adds up to the need that emails with very little design are sometimes a go-to option. You might want your future ESP to access different email editors to choose from to manage multiple email campaigns across different platforms. What are the types of email editors? A Drag & Drop editor allows you to create email campaigns with no coding skills using different types of blocks. Sections of the email can be easily added, removed and reorganized. Busy online marketers don’t want to be bothered with technical stuff, they just want to create campaigns that work. This is where a good Drag & Drop editor comes in handy. 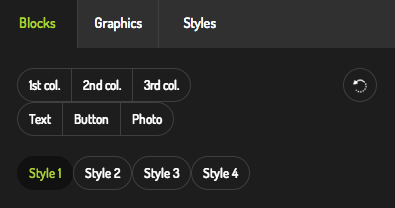 Buttons or social media icons as well as spaces, finishings, dividing lines or a combination of some or all of them. 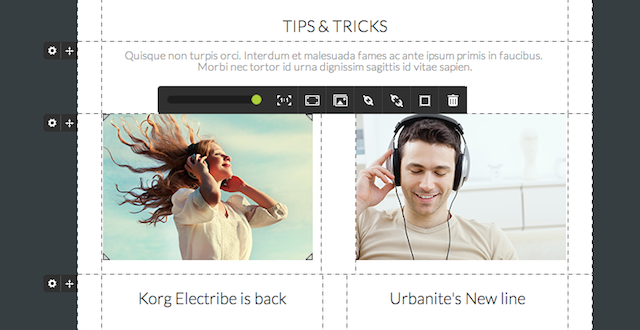 With Drag & Drop editors, you can build solid multi-column layouts. Usually, most emails are not based on one column and these editors give you control over a structure of your email without the need of coding. With this function, you can create up to 6 evenly distributed cells in a row. –	emails can be shared with other team members for approval before being sent. An important thing to note is that not all Drag & Drop editors are created equal, not all of them will let you create mobile-friendly emails. Pay attention if your potential ESP has an editor with responsive properties. The created template should break at the edge of particular blocks and switch to a single-column format. For larger or smaller widths, the message is scaled proportionately. 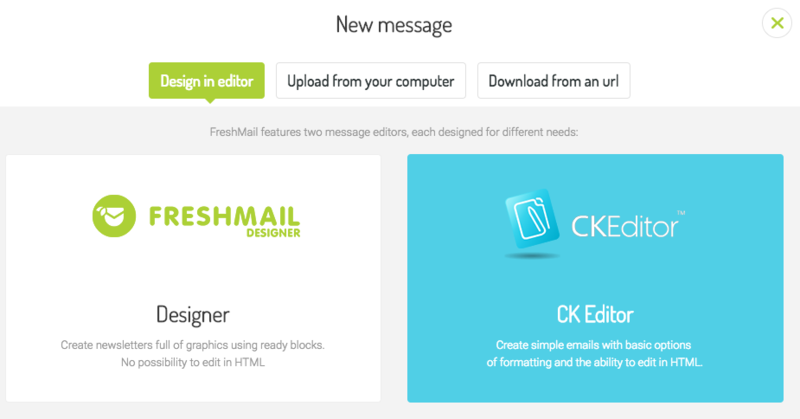 Also, your email created in a template editor will look different among different email clients. But that’s perfectly normal. Various email service providers interpret HTML code in different ways. For example, Outlook and Gmail don’t display graphics in messages and Outlook displays rectangular buttons instead of circles. GIF files are supported by most email service providers but there is a problem with Outlook, which displays just the first image from GIFs, and so be sure to prepare a fallback picture. Short for the What You See Is What You Get editor. Simply put, it’s a tool that helps you format and structures your email. It’s perfectly fine for regular newsletters with a single column layout, however, you still need to do some manual updates and customizations to fit your needs sometimes. The formatting options are similar to editors we all know from e.g. Microsoft Word. It allows you to focus more on what the design looks like instead of what the HTML code looks like. The disadvantage of using such editors are that most WYSIWYGs include HTML code that is very specific to the product and may not comply with Web coding standards. It also means that you should use a fresh template for every new email because previously sent emails might include unnecessary lines of code. This is a pure HTML only editor. If you are comfortable building your template from scratch using HTML, this editor is for you. Inside the ESP or outside? Most of the time with a good ESP you’re easily able to create a handful of email templates that are on brand and look good in all email clients, both desktop and mobile. The type of editor you use really comes down to your team’s needs. For people with no email experience the Drag & Drop editor makes the learning process and onboarding time much quicker. For tech people, the HTML editor offers more flexibility and scale. What if you decide to change your ESP? The downside of using inbuilt email editors is the fact that often you can’t easily migrate your templates to the new provider. Those cases you might also consider using a separate responsive email editor. Most of them are easy to use for people with limited coding skills, and are compatible with over 90%+ of all desktop, mobile and web email clients. 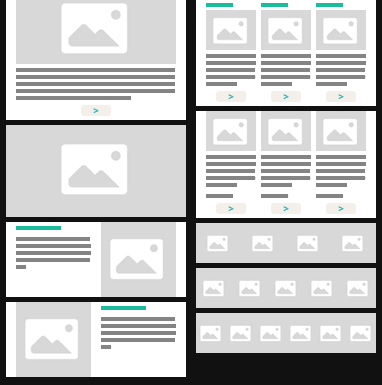 You can compare external email editors for designing responsive emails in the article by Roman Pokornyik from Chamaileon.io.